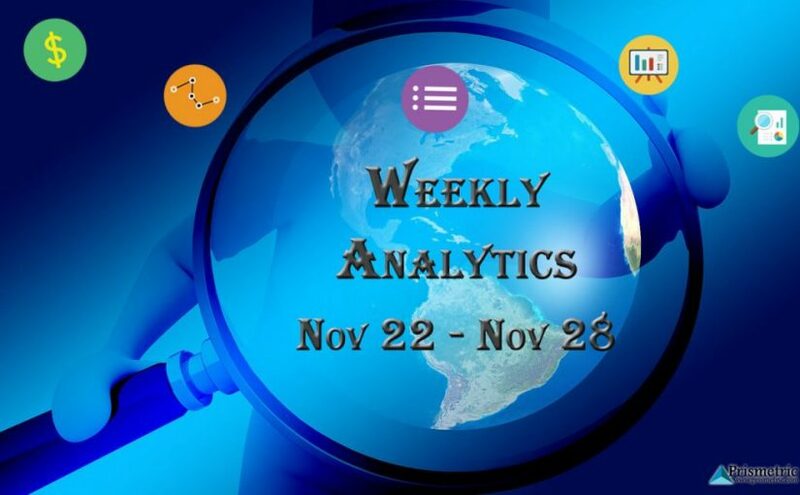 Prismetric’s weekly analytics to keep up with the evolving trends: Social Media Marketing, AI, mobile gaming, App-statistics, AR, App marketing and more. 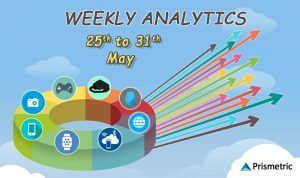 As we unfold the 21st edition of our weekly analytics, the mobile world is on the verge of concluding another successful month in terms of innovation and technology development. The concluding week of November was no different as there were considerable happenings in fields of app marketing, social media marketing, mobile gaming, Augmented Reality and Artificial Intelligence. In addition to the head turners, techies also found the fact how with the use of Artificial Intelligence, computers are turning out to be the best developers. AI can empower them to learn and understand the things by themselves using the specific machine learning aspects. 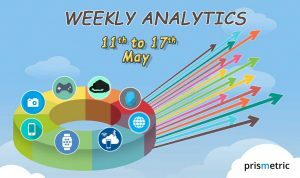 The world of mobile technology is blooming with utter fragrance with each passing week and we at Prismetric try our level best and get into the skin of things and bring out the gems, week after week through our channelized and authentic research process. Thus, without much ado!! Let’s fasten our seatbelts and get the details about the hot picks this week. Yes, you heard correct folks!! There is a great demand for digital transformation market and according to reports, global Augmented Reality market is expected to reach 133.78 billion USD by 2021. There is no doubt that AR is emerging as one of the technologies for the future and is making its mark to stay at the helm for long. Augmented Reality has been used in various fields like aerospace, e-commerce retail, gaming sector, etc. We all know that customer engagement is one of the most important aspects of app marketing and Google with its new features is helping the marketers to achieve it. With the new features, app marketers can automate video ads, recommend apps for better targeting of the customers. The features will also make the customers make more in-app purchases under the offering of Google’s new Universal app campaign. App retention rate is the most important aspect for app developers to measure the success rate of the app for the developers. According to the reports by Apps Flyer, the app abandon rate for Android is twice as compared to iOS. As there is a plethora of Apps on Google Play Store, the competition is by far fierce and more stringent as compared to Apple App Store. With the advent of mobile technology, there has been a steep rise in the download rates of the mobile games as well and India has emerged triumphed with its uptick revenue. India has emerged as the fifth biggest market for the mobile gaming. Moreover, the largest country in South Asia is expected to surpass Brazil and Russia which are ranked 3rd and 4th in the near future. Stats also show that the estimated revenue of mobile games has grown to $16 million in 2016 from $12 million in 2015. Google is putting some serious efforts in using Artificial intelligence to make its searches more authentic and feasible for the users. AI can cause reinforcement learning and explore a sequence of actions to get a more deep and authentic look at the things the user is searching for. 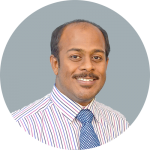 Usage of Artificial intelligence will make deeper linking and make the operations safer with less power usage. 2016 has been a path breaking year for social media marketing as most of the marketers targeted these platforms to get more inroads and businesses for their product and apps. Facebook, Twitter, SnapChat, Instagram all have growing rapidly throughout the year and culminated the process of online business development in the whole year.